According to numerous studies and surveys, the vast majority of adults in the United States believe that a beautiful, white smile makes a person more approachable and appealing. This attitude can provide numerous advantages in situations such as job interviews and first dates, as well as during other everyday activities. Crowded, missing, or discolored teeth can cause a significant amount of insecurity for adults and teens. Investing in a quick yet effective tooth whitening session at the top cosmetic dentist in NYC is a simple way to heighten self-esteem and self-confidence. Once their teeth are taken from drab to sparkling, patients are more likely to smile and share with the world just how confident they’ve become. For those looking for simple ways to take years off of their appearance, teeth whitening is the perfect solution. Whiter teeth make a face appear more youthful and lively, and can also have the effect of making a person appear healthier and stronger. The whitening process can be achieved over a few short sessions with a NYC top dentist either at his or her office or in the comfort of one’s own home. Are you interested in achieving a brighter, whiter smile? If so, then be sure to ask the team at Park 56 Dental about our exclusive Zoom! whitening treatments. Call us today at (212) 826-2322 to learn more about all of our dental services. For many people experiencing tooth loss, their outward appearance can become a great source of stress. However, as this video highlights, missing teeth can negatively affect more than just one’s thoughts. People with missing teeth are also at risk for physical problems such as heart disease, malnutrition, and certain types of cancer. This is due in large part to their inability to consume healthy food that is rich in vitamins and minerals. According to the American Dental Association, dental patients who are missing one or more teeth are more likely to fill their diet with processed foods that are high in cholesterol, since they are easier to chew. Dental implants and other devices can remedy this problem and leave patients more capable of eating a balanced diet. 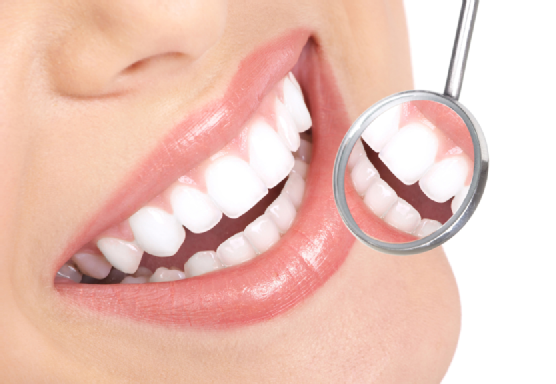 If you are missing teeth and are concerned about your health, then consult with your doctor at Park 56 Dental in NYC . Call us today at (212) 826-2322 to schedule your next appointment. Bridges and dentures were once the only means of smile restoration. With the introduction dental implants, though, patients can have their tooth loss remedied with permanent devices that mimic the look and function of natural teeth. If you have missing teeth, consider discussing your dental implant options with a top cosmetic dentist . Do you have only one missing tooth? Are you suffering from substantial tooth loss? In either case, you may be a candidate for dental implant surgery . Dental implant candidacy depends primarily on the health of the gums and bone into which the implants are inserted. No matter the number of missing teeth, you can opt for this smile restoration procedure as long as the underlying bone can support it. Dental implant surgery can permanently correct tooth loss. However, for optimal results, it may take several weeks to complete. A cosmetic dentist must first insert the titanium post into the jawbone where it will eventually fuse to the natural tissue. The post acts as a tooth root, providing strength and stability for the rest of the implant. Once the post is secure and the implantation site is healed, the dentist can attach the abutment, a device that provides a foundation for the porcelain crown. The crown, which looks identical in shape and color to a real tooth, fastens to the top of the abutment. Upon adding the crown, the dental implant process is finished. Aside from the cosmetic enhancement that dental implants can offer, they can increase overall dental health. Empty tooth sockets may cause nearby teeth to move out of alignment, which can cause eating and speaking difficulties. In some cases, those teeth may become so unstable that a dentist must remove them as well. As a result, dental implants can prevent additional tooth loss. Are you a candidate for dental implants? The top dentists at Park 56 Dental in NYC can find out. Call us today at (212) 826-2322 to schedule an appointment to discuss your smile restoration needs.